In March 2014 The university of Aarhus arranged a festival for the 1900 century. For the opening night at Godsbanen seven unique furniture sculptures were built by the architects “Wemakespace” and myself. Ole Jørgensen added narrative sound design. The motives are all inspired by the steam technology of the 19th century and cut out by laser. When illuminated the objects cast large shadows on walls and ceiling – the world’s oldest projection technique, but still the best. 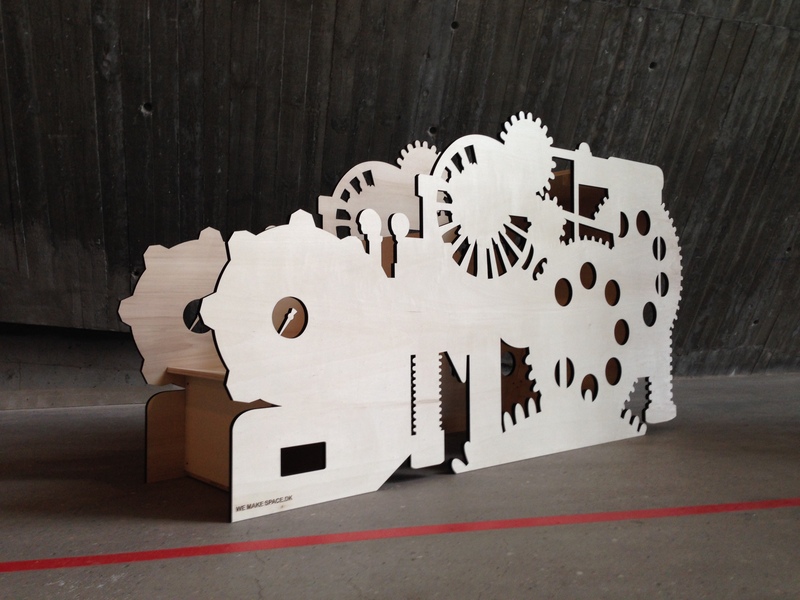 The great effect of these pieces of furniture cannot be ignored and we have decided to start: motivmøbler.dk, where you can buy your favorite furniture sculpture and other unique items.